PRISTINE CRAFTSMAN SHOWPLACE WITH FULL DAYLIGHT BASEMENT, LOCATED ON PREMIER 1 ACRE CUL-DE-SA LOT IN AWARD WINNING FAYETTE SCHOOL DISTRICT! 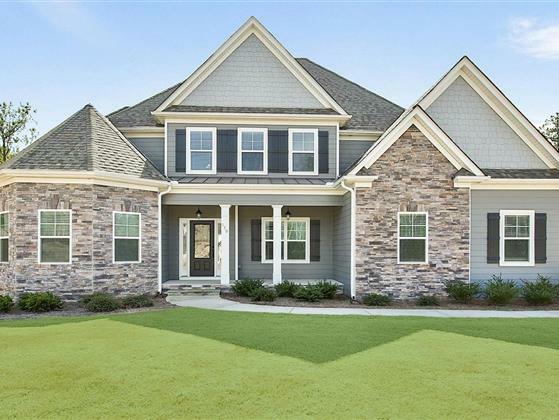 Perfect for entertaining with over 3700 square feet of quality and tons of designer upgrades including gorgeous coffered ceiling, extensive trim, wide plank hand hewn hardwood floors + exotic granite in kitchen & all baths! Chef's kitchen equipped w/upscale stainless appliances, dual ovens + massive center gathering island, all overlooking great room with stone fireplace! Luxurious owner's retreat on main w/spa bath, cut glass tile accents, frameless shower door + "INCREDIBLE" walk-in closet! Upstairs includes kid's retreat or rec room, 4 generous suites & 2 Jack and Jill granite baths! BASEMENT FOR FUTURE EXPANSION TOO!